In this modern world of photo manipulation and filters, we seem to dismiss the appreciation of fine art. We mustn’t forget the talent and patience it takes to create art by hand. As a graphic design student, I try to incorporate fine art in my design wherever I can. Malaysian artist Hong Yi also remembered every morning as she drank her cup of coffee and a concept began to brew in her mind. 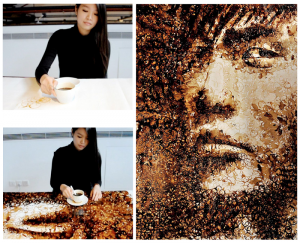 My appreciation for fine art drew me to this artist because she used the mosaic concept with a more traditional route. 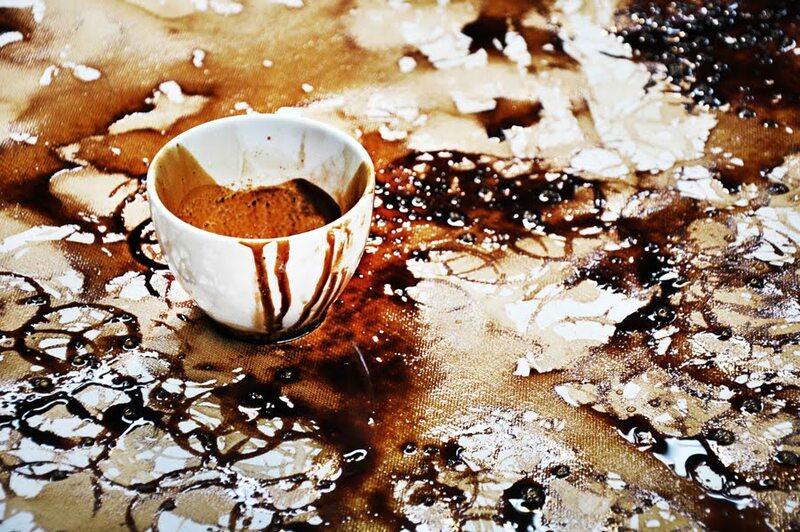 An often overlooked object of everyday life is the coffee stain. Like people, no two are the same. These rings are the expressions of our activeness and sometimes our struggle. Hong Yi saw more than that; she saw them as a puzzle piece, each piece playing a crucial role in creating a big picture. Stain after stain, layer after layer, a face started to form. It was a time consuming process that produced mind-blowing results. This entry was posted in Fine Art and tagged coffee, Fine Art, hong yi, mosaics on May 13, 2014 by Danielle Rodgers.